Mineral pigment consisting essentially of calcium, silica and aluminum and boron oxides. It provides a glittery effect in Decorative Cosmetics. The soft cleansing agent in toothpastes is also familiar as chalk. An important herb, calendula is high in carotenes, flavonoids, mucilage, saponins, tannins and essential oils. The sun-like pot marigold has soothing, astringent, and regenerating properties. An extract of black tea is rich in antioxidants and tannins with toning, skin-soothing, and fortifying properties. Canola oil is a vegetable oil with many skin caring unsaturated fatty acids. It is especially recommended for dry and scaly skin. A fatty mixture of glycerides and fatty acids from plant oils. It has smoothing and replenishing properties and is used as an emulsifier, dispersing agent and carrier for active ingredients. Preserves and promotes smooth application in Dr. Hauschka Eyeliners and Lipliners. A natural colorant that comes from the wings of the cactus louse beetle. Carmine is one of the only stable natural pigments that provide a bright red color. A fatty alcohol derived from plant oils which has a firm, white, wax-like appearance with emulsifying properties. Helps bind the components of creams, hydrate the skin and make it soft and supple. Many people are familiar with matricaria, also known as German chamomile, as a traditional herbal tea. It is of particular benefit to delicate and sensitive skin because of its skin-soothing properties. The green color in plants is due to the compound chlorophyll. 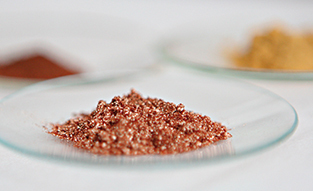 When combined with copper is used in cosmetics as a natural green pigment. The chlorophyll is extracted from the leaves of the stinging nettle plant. Chondrus crispus (carrageen) is a natural thickening agent obtained from purified red algae. It gives creams their smooth, even consistency. Rhythmitised dilution of chicory stabilizes and cleanses the skin. Black cohosh, also known as Fairy Candle, belongs to the Buttercup family. In flower, the shrub can grow to a height of 5-6 1/2 feet. Its rhizomes survive the winter, and it is these life-bearing rootstocks that are processed. They are much appreciated particularly during the changes surrounding menopause. Rhythmitised dilution of black cohosh has a naturally harmonizing effect on hormonal skin changes that occur during menopause, such as irregular pigmentation. A naturally occurring essential oil compound that is part of the pure essential oil blend that makes up the scent of formulations. Cinnamal has calming and sedating properties and is naturally occurring in pure essential oils such as cassia and cinnamon bark..
Cinnamyl alcohol is a declarable fragrance which occurs in cinnamon, for example. In Dr. Hauschka Skin Care cinnamyl alcohol is never added as an isolated substance. Where present it is always as a component of natural essential oils. A naturally occurring essential oil compound that is part of the pure essential oil blend that makes up the scent of a formulation. Citral has calming and sedating properties and is naturally occurring in pure essential oils such as lemon, cubeb, lemon grass, lemon balm and lemon verbena. A naturally occurring essential oil compound that is part of the pure essential oil blend that makes up the scent of a formulation. Citronellol has calming and sedating properties and is naturally occurring in pure essential oils such as rose and geranium. The fragrant and refreshing orange-flower water is produced during the distillation of neroli essential oil derived fresh bitter orange flower buds. Orange peel is cold pressed to obtain essential oil of orange. The oil has a naturally fruity fragrance. In aromatherapy essential oil of orange is valued for its invigorating, relaxing and lightening abilities as well as its antibacterial action and its capacity to protect the skin, stimulate skin metabolism and stabilize connective tissue. The natural essential oil of the grapefruit rounds off fragrance compositions with a fresh, fruity note. In aromatherapy it is valued for its powerful mood-lightening properties. Lemons exhibit all parts of the flowering and fruiting process simultaneously — bud, flower and fruit. This growth pattern provides a picture of proper fluid balance and structure for the skin The leathery skin of the lemon protects its juicy interior, holding the moisture together and preventing it from flowing away. In skin care, this formative power demonstrates lemon’s ability to firm skin prone to cellulite and support the skin’s resiliency. "Sugar" surfactants, detergents and emulsifiers made with plants oils and sugars, providing foaming and cleansing properties. One of the mildest cleansers, derived from natural and renewable sources; biodegradable, non-toxic, residue free and well-tolerated by even the most sensitive skins. Approved by both BDIH and NATRUE. Coconut oil is a pure, natural product obtained from the fruits of the coconut palm. Consisting primarily of saturated fatty acids, it is markedly unique among plant oils, demonstrating great stability against oxidation. 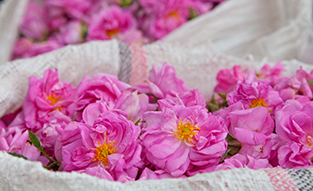 It is a pleasant-smelling oil that is often used in cosmetic and hair care products. The natural resin of the myrrh bush has astringent and anti-inflammatory properties. In combination with rhatany and tormentil it strengthens and firms the gums. This wax is obtained from the leaves of the carnauba palm which is native to Brazil. Carnauba wax is one of the hardest natural waxes. It gives the skin protection against environmental extremes and helps to make lipsticks less vulnerable to changes in temperature. A naturally occurring essential oil compound that is part of the pure essential oil blend that makes up the scent of a formulation. Coumarin is best known for its fragrance, described as a vanilla-like odor or the aroma of freshly mowed hay. It also occurs in food plants such as strawberries, apricots, cherries and cinnamon. Rhythmitised dilution of hawthorn leaves and fruit. 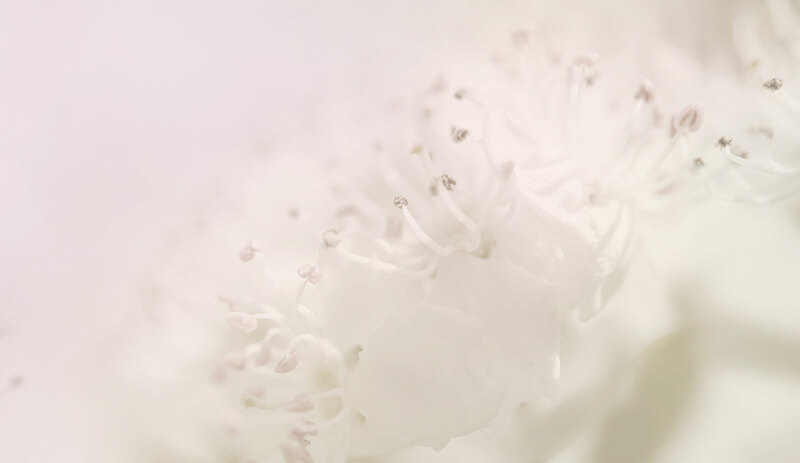 Hawthorn is a small tree belonging to the rose family and has a fortifying effect on the skin, supporting skin’s vitality and processes of renewal. Guar gum powder is a powder made from the seeds of the Indian tree Cyamopsis tetragonoloba (guar bean). It stabilizes the viscosity of emulsions. Lemongrass fortifies and firms skin prone to cellulite.